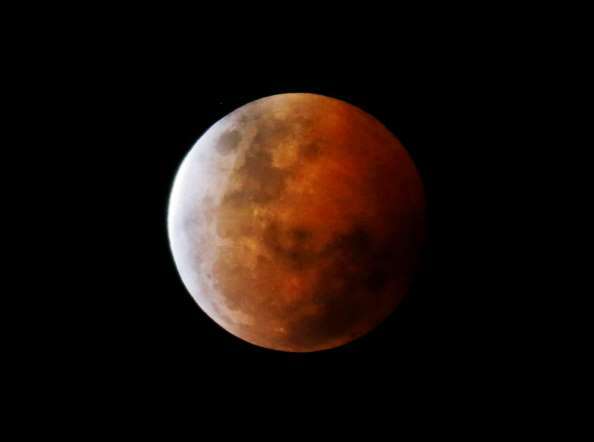 Did you see the amazing total lunar eclipse, or Blood Moon, last night? It was a beauty. Speaking of Blood Moon, there are many terms and references used to describe the full moon that you have heard a million times but might not know the origin or meaning. We decided to uncover these mysteries for the October Leaflet Edition and post them here. For starters, scientists define a Full Moon as the lunar phase that occurs when the Moon lies on the opposite side of Earth from the Sun. The Moon as seen from the surface of Earth is fully illuminated by the Sun, presenting a “full” round disk to us earthlings. The term Blood Moon is used to describe lunar tetrads which are four successive total lunar eclipses, with no partial eclipses in between, each of which is separated from the other by six lunar months (six full moons). The origin of this name is debated, it could be due to the distinct red color. The Blue Moon is special full moon that happens when there are two full moons in one calendar month. The cultural impact of the moon is powerful and sources trace back the tradition of naming the Full Moons to Native American tribe in the Northeast United States. The names were given to mark certain times of hunting, planting or harvesting. European settlers adopted some of these customs and added some of their own. As each lunar orbit is really about 29 days, full moons shift their position within the months a bit from year to year; this is why some months have variable names. The Moon has been given different names at certain times of the year. For instance, in October the full moon is called the Harvest Moon because it shined on fields after the fall equinox, enabling work to continue late into the night. The Harvest moon has a special significance to farmers because near the autumnal equinox, the day-to-day difference in the local time of moonrise is only 30 minutes when normally the moon rises about 50 minutes later each day. January – Wolf Moon, also Moon After Yule. The name Wolf Moon comes from wolf packs which roam in the depth of winter. February – Snow or Hunger Moon. This moon is named for the fact that this is most often the harshest time of winter. March – Worm or Sugar Moon. These moon names indicate the very beginnings of spring. Sugar moon comes from groups which tapped trees to make syrup. April – Pink or Seed Moon. This moon happens when flowers have really started to bloom and spring is underway. May – Flower or Hare Moon. Most everywhere has full flowers by this time of year. June – Strawberry or Rose Moon. This moon is named for the very short strawberry harvest season. Rose Moon is the European name, given by new settlers. July – Buck or Mead Moon. This is the time of year that male deer, bucks, begin to grow their horns. August – Sturgeon or Green Corn Moon. The sturgeon came from tribes in the Great Lakes area, for when this fish was plentiful. September – Harvest or Barley Moon. The moon closest to the Equinox is the Harvest Moon. Occasionally when this falls in October, the September moon becomes the Corn or Barley Moon. October – Hunter’s or Dying Grass Moon. With the harvest done, and the leaves falling, this is a time of hunting game for winter. November – Beaver or Frosty Moon. The beaver name is related to either the trapping of these animals by hunters or the fact that beavers are busy readying for winter at this time of the year. December – Cold Moon, also Moon Before Yule. At this point, winter weather has arrived and the shortest day of the year approaches. Written from a 2006 article by Melissa Geis. Rae Schwarz listed these simplified meanings to the different moons.